Police have this morning explained the reason why they have de-arrested a man arrested on suspicion of causing three deaths on the Frank Perkins Parkway on Sunday. Engaged couple Jana Kockova (21) and Marko Makula (22), and Jana’s brother Tomas Kocko (19), all suffered fatal injuries shortly after midnight after a Ford Ranger came the wrong way down the Stanground slip road and collided with their Renault Megane, which was travelling from Boongate. Jana and Marko left behind two children aged two and younger. The driver of the Ford, a 26-year-old man from the Spalding area, was arrested on suspicion of causing death by dangerous driving and driving while under the influence of drink and/or drugs. However, police announced yesterday (Tuesday, April 16) that he had been de-arrested. Asked by the Peterborough Telegraph to explain the reason for that, after being contacted by a number of readers, a police spokesman said it was because the man is in a critical condition in hospital. Police have 24 hours after making an arrest before they have to decide whether to charge someone with a crime or release them. They can apply to hold someone for up to 36 or 96 hours if they are suspected of committing a serious crime. It is expected the man arrested over the parkway crash, who is in a stable condition, will be re-arrested should his condition improve and he is fit to be questioned. 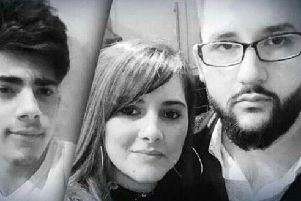 A fundraising page for the youngsters who lost their parents has already raised more than £2,500 since being opened two days ago.